Sift flour, baking powder and salt into a mixing bowl and set aside. In another bowl, mix the egg yolk and melted butter together, then add in the milk. Add the egg yolk mixture to the flour mixture and stir till not a trace of flour to be seen. In a clean oil free bowl, whisk the egg whites till frothy and add in the sugar. Whisk till soft peak stage. Blend the egg white mixture into the whisked egg whites with a hand whisk quite and gently. 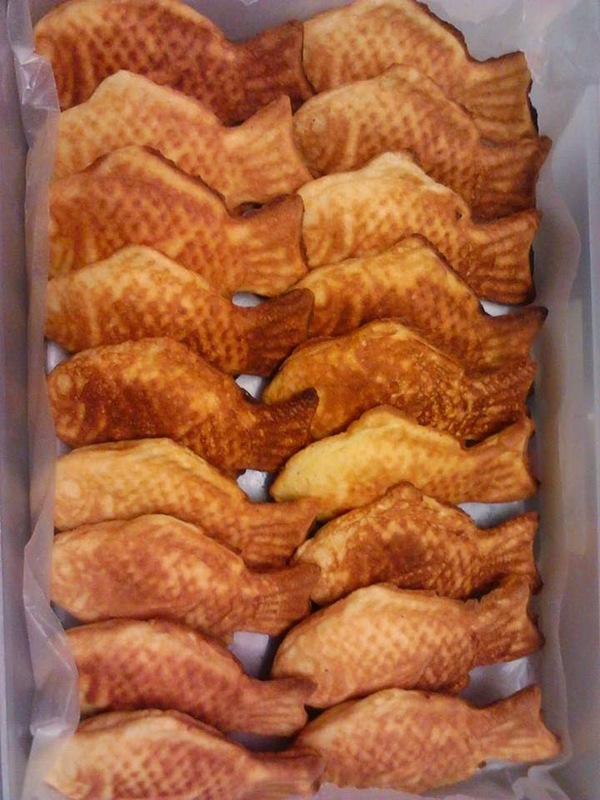 Cook mixture in a taiyaki iron by filling the mould with half the batter and place 1 - 2 tsp of adzuki bean paste in the centre and spoon some batter to cover the bean paste. Cook by turning the mould every now and then to evenly brown both sides.